While hunting for somewhere to grab a quick breakfast in Providence and oddly finding so many of our usual haunts closed, my wife and I decided to visit the Classic Cafe. She had been there before, but it was my first time visiting this diner-like restaurant and I’m glad I did. 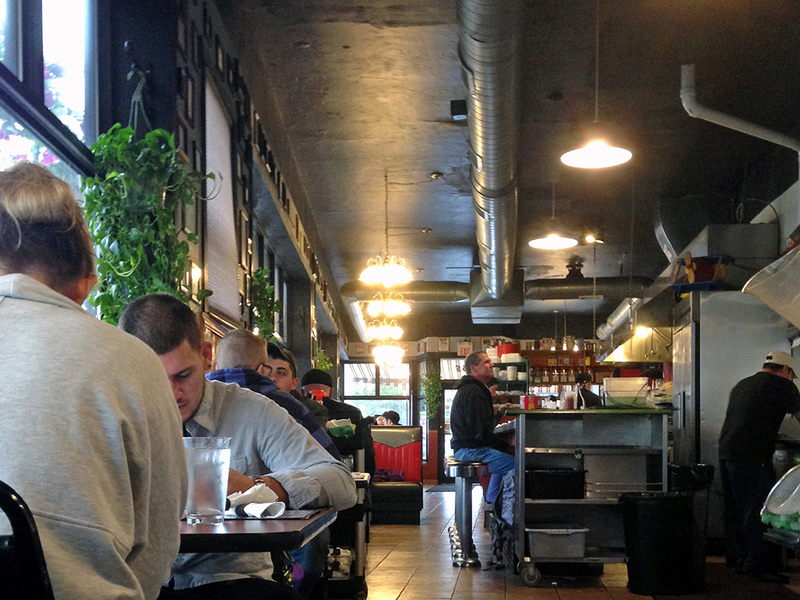 The restaurant is very long with tables along the windows and counter space facing the kitchen. It’s not fancy inside the Classic Cafe, but it does looks like a place with good comfort food. Our server was very friendly and answered our questions about the large menu, which has breakfast and lunch items on it. We also never felt neglected even though we were sitting towards the end of the restaurant. We were there for breakfast, so we focused on that part of the menu even though some of the lunch sandwiches looked really good as well. My wife ordered the Bacon and Two Eggs with the Potato Cakes. 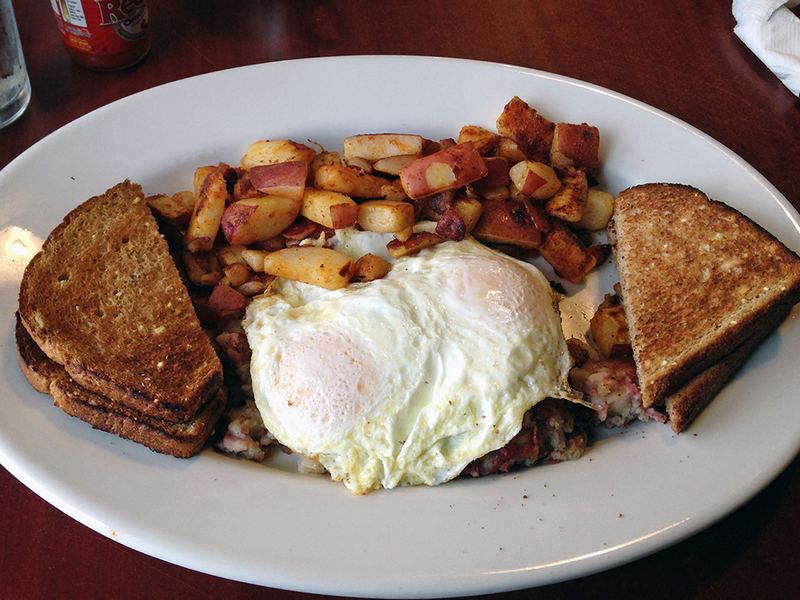 I saw that the Classic Cafe featured “homemade Corned Beef Hash,” and I knew I had to try it. Bacon with Two Eggs – Although hearty and with ample portions, this was a fairly straight forward breakfast of eggs, bacon, and the Classic Cafe’s potato cakes. The eggs were cooked very nicely, the bacon wasn’t too crunchy or too soft, and the potato cakes had a nice crispy outside with a soft interior. It’s possible that the potato cakes are made from the same potatoes as the homefries and that isn’t a bad thing because both taste really good. The four pieces of toast were also very good although probably two pieces too many considering the already filling dish. 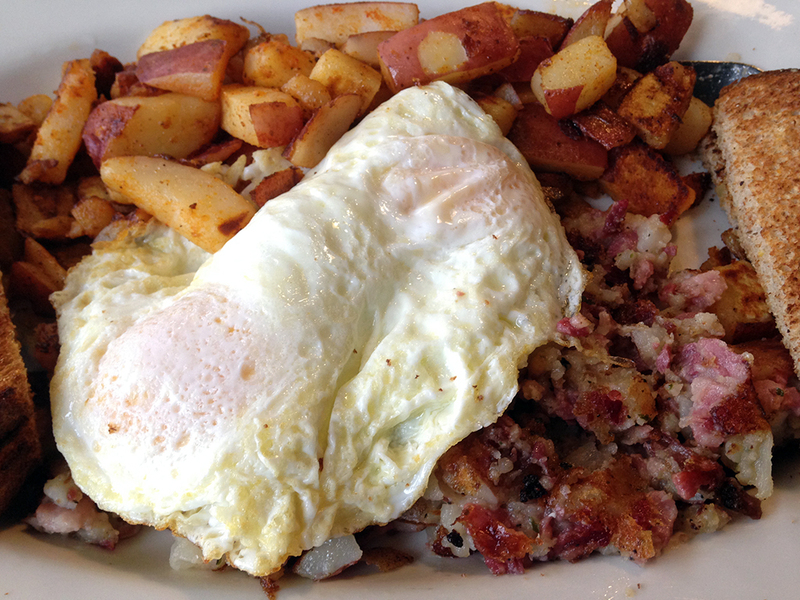 Corned Beef Hash (Homemade) & Two Eggs – I ordered my two eggs over easy so that they would mix well with the hash. The homefries were very good and a little added hot sauce really made them shine. A lot of us are familiar with that corned beef hash that looks like dog food and comes in a dog-food-like can. For some of us that kind of corned beef hash with an astounding amount of sodium will always hold a special place in our hearts, while for others, it may as well be dog food. I always get excited when I see that a restaurant makes their own corned beef hash because a well made hash can leave the canned stuff in the dust. 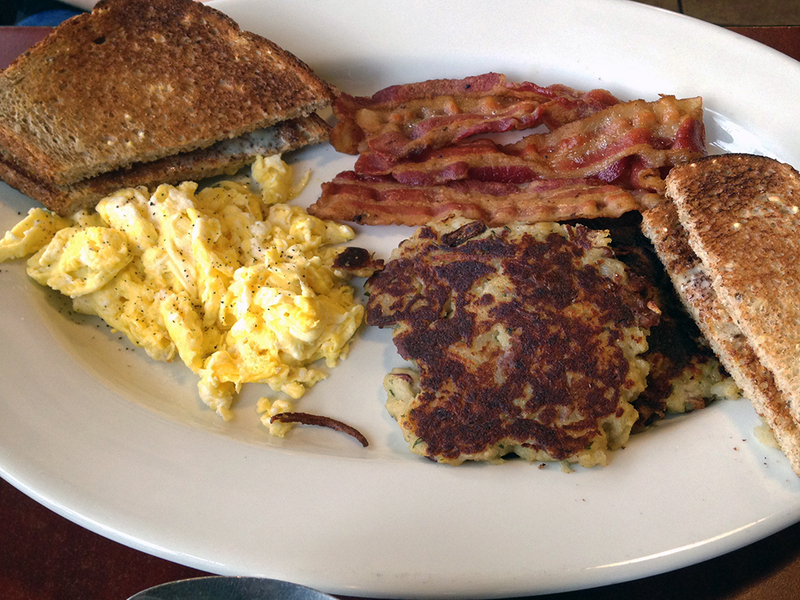 At The Classic Cafe, the homemade, crispy, hash is excellent and possibly some of the best I’ve had in a long time! 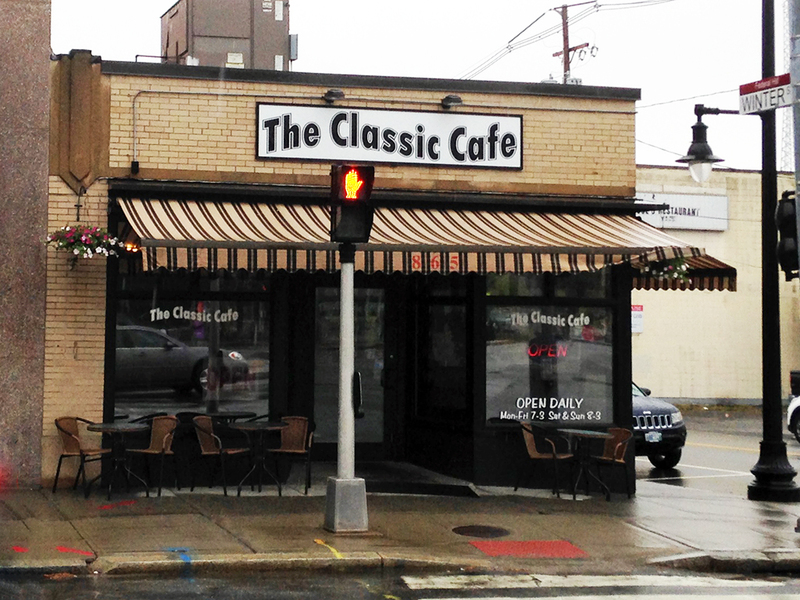 The Classic Cafe offers an excellent, filling, and delicious breakfast that won’t break the bank. I would easily recommend it for breakfast and I suggest giving their homemade corned beef hash a try. I am glad you mentioned this place. I am always on the prowl for good breakfast place. Classic cafe here I come. Agreed! It’s sad that it’s often hard to find. A lot of places just use the canned stuff, which is fine for sitting around a campfire, but not necessarily what you want at a restaurant.